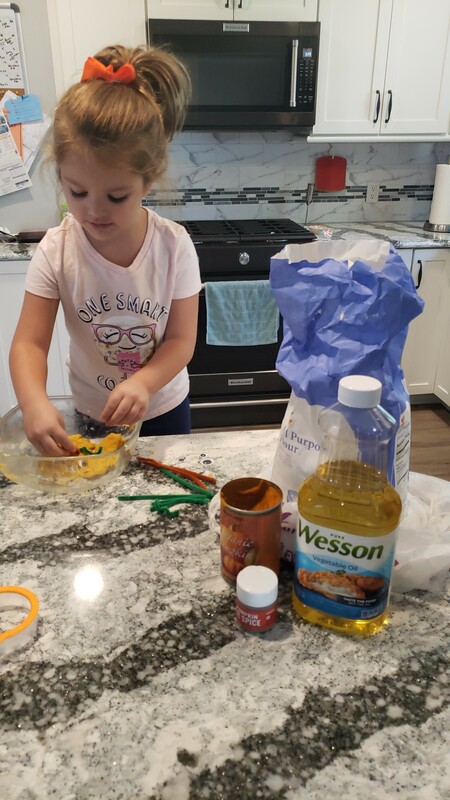 I love to use items I already have in my pantry to make something the kids can play with and that will be a great sensory activity. 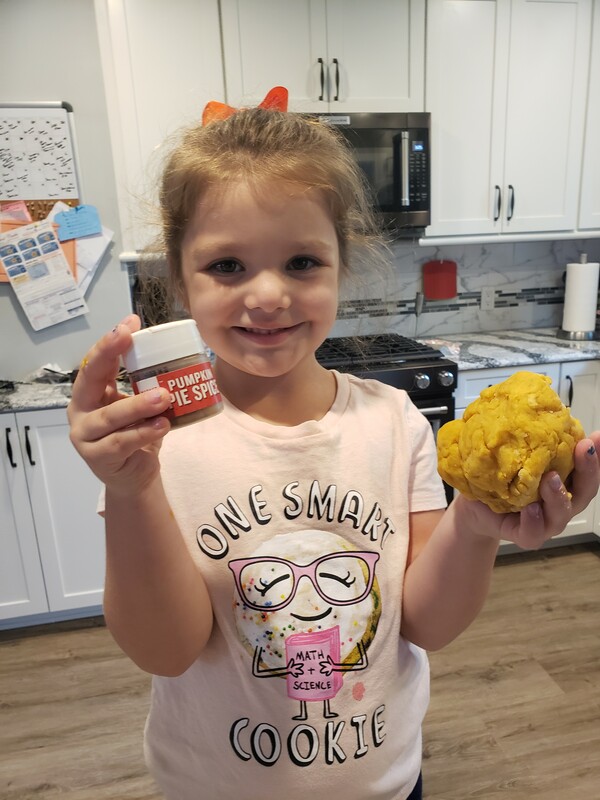 It is Fall and we love the smell of pumpkin. 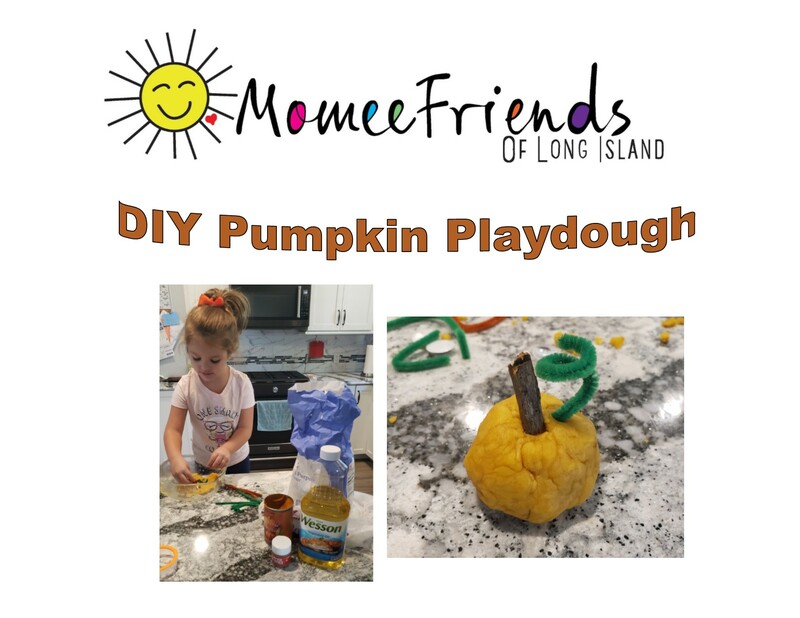 I tried a few recipes and this recipe worked best to make a pumpkin play dough. Best thing is you only need 4 pantry items to make it and there is no cooking involved. 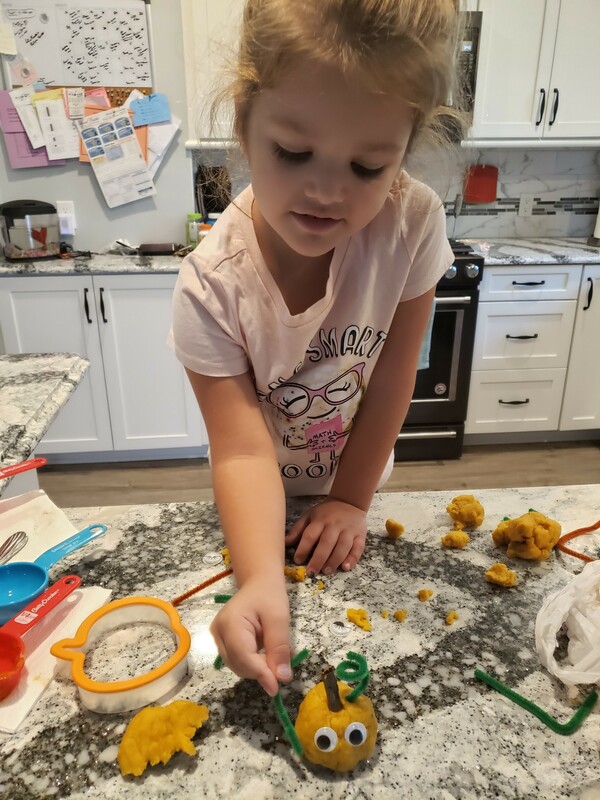 Your toddler can help mix it up and I love when my daughter gets to be part of the DIY process from beginning to end. However, it is a recipe that is good for one day of playing fun. 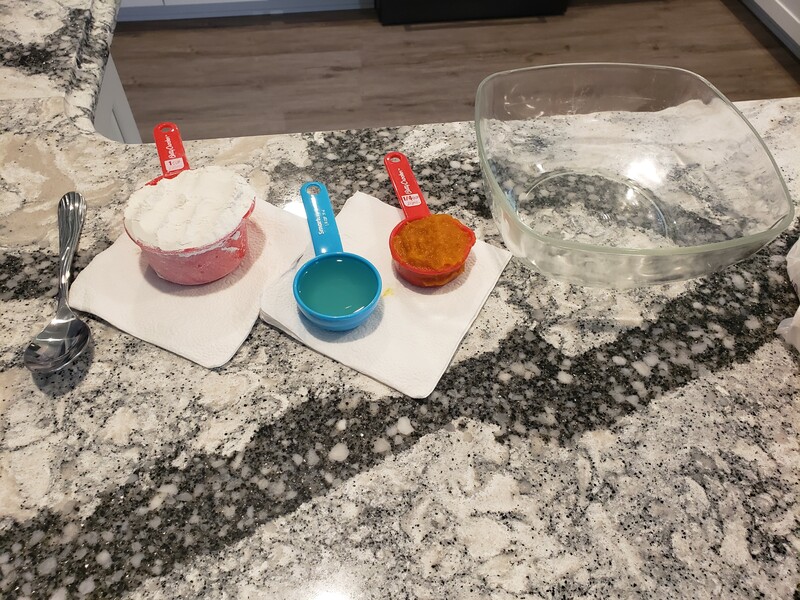 The play dough does not store well in a Ziploc container wrapped in parchment paper. Just one day later it was not good anymore. But, the initial one day of play was amazing and smelled amazing. 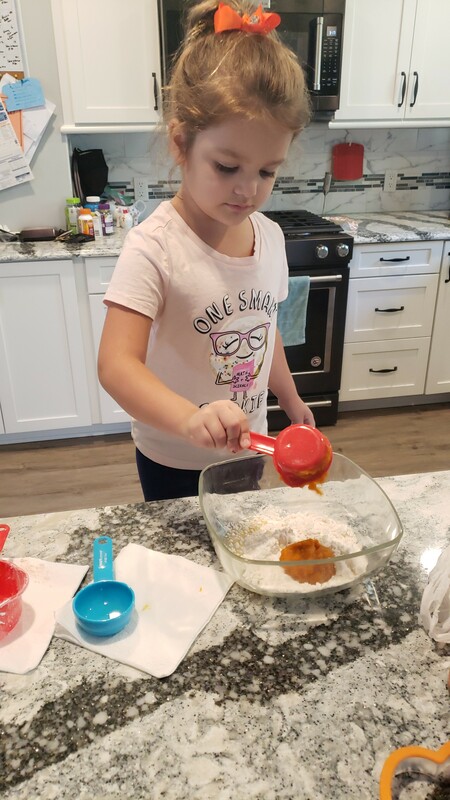 Ready to make this easy recipe? 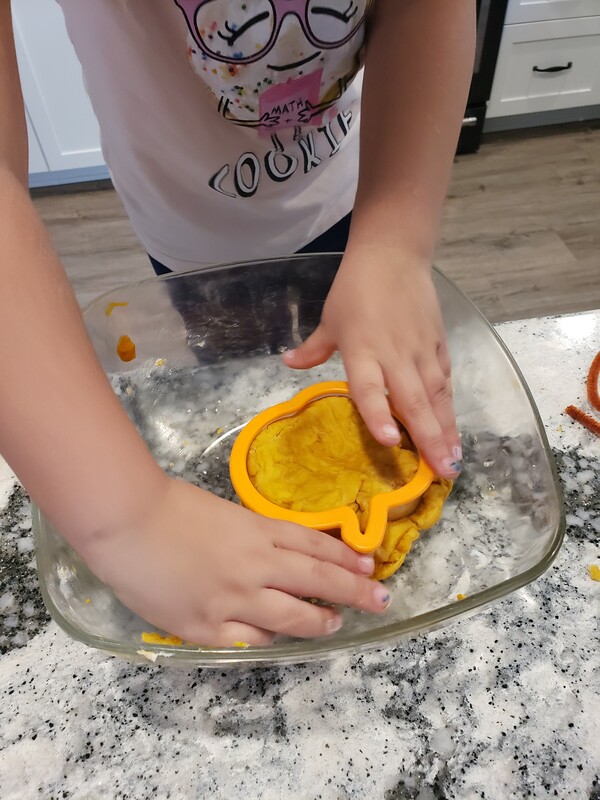 Mix together the Flour, Vegetable Oil and Pumpkin Puree in the bowl. 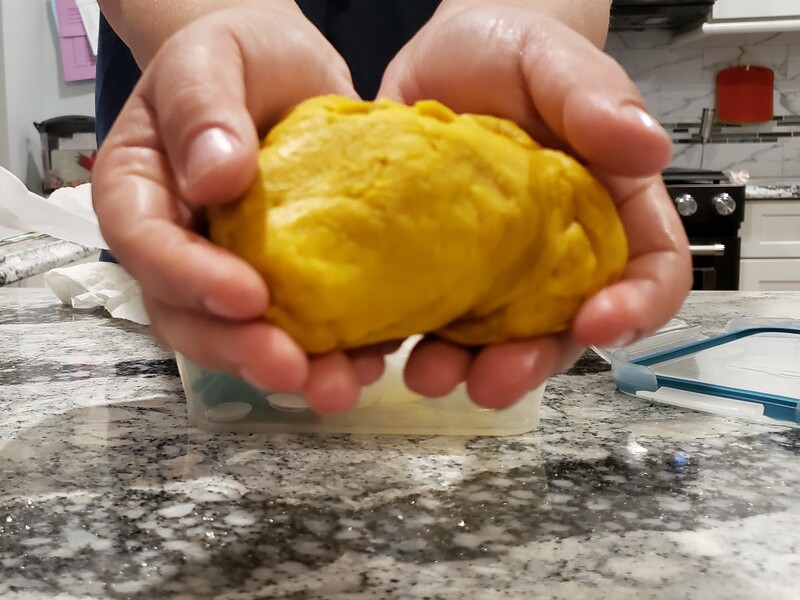 Mix well and knead the dough to form a ball. 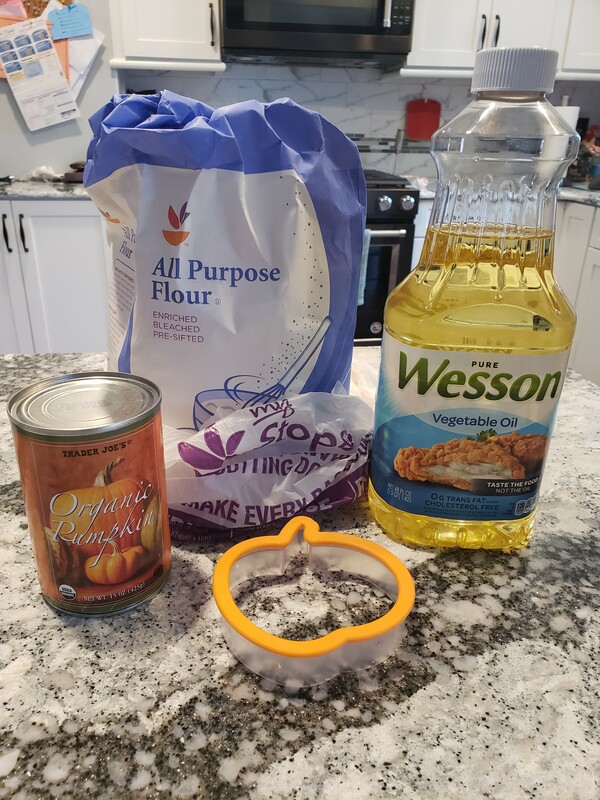 Shake 4 dashes of Pumpkin Spice on the formed ball and knead the pumpkin spice into the dough. It smells so good. 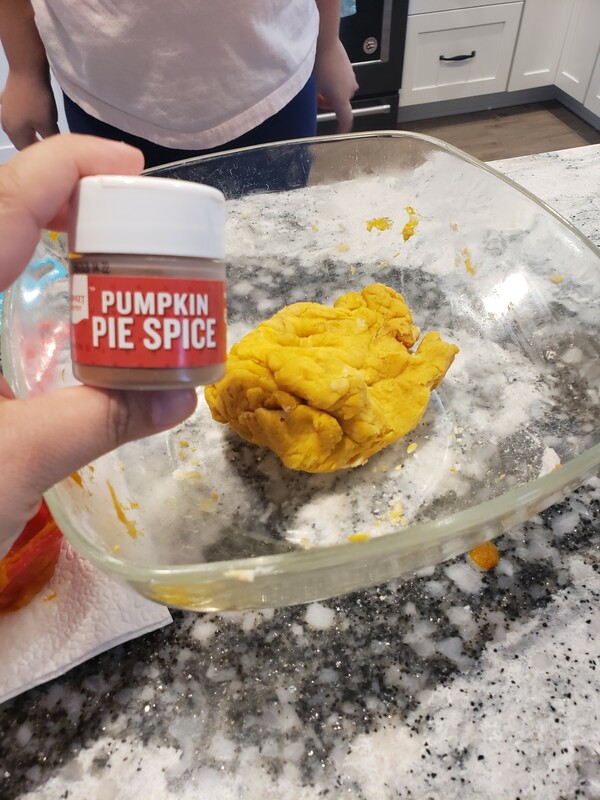 Especially if you love the smell of pumpkin. That is it! Your dough is done. 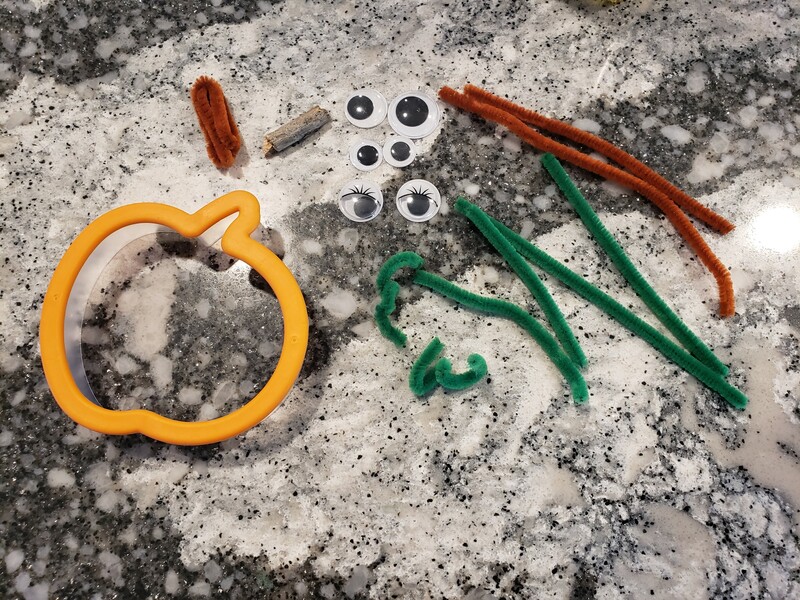 I went to my craft area and found pipe cleaners, googly eyes, some sticks and a pumpkin cookie cutter. 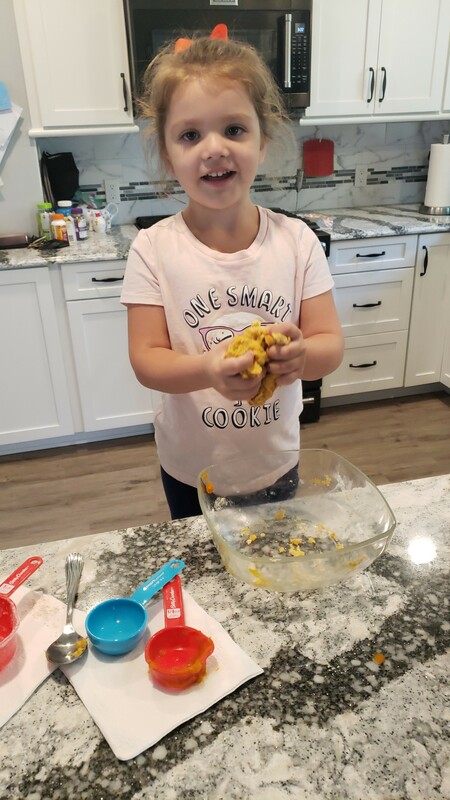 I handed them to my to my daughter and let her create with the dough. 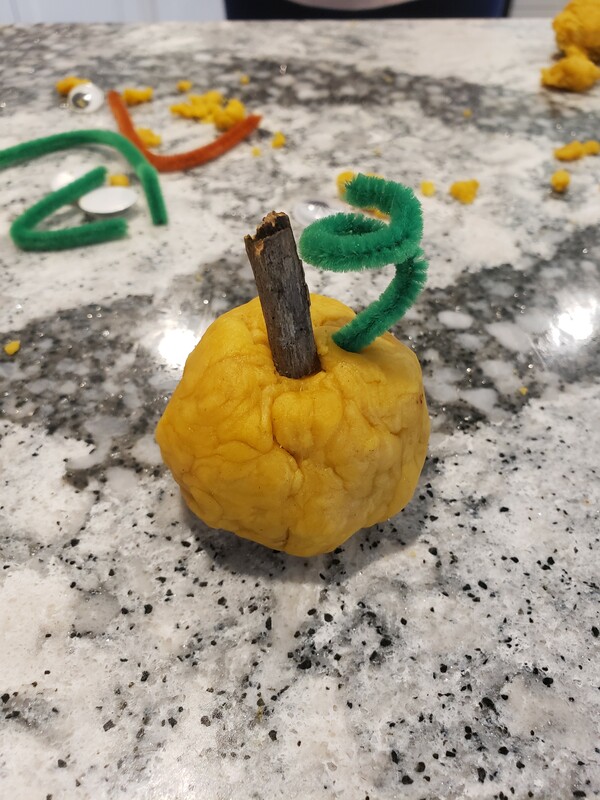 She created some really cute creations and of course some pumpkins. 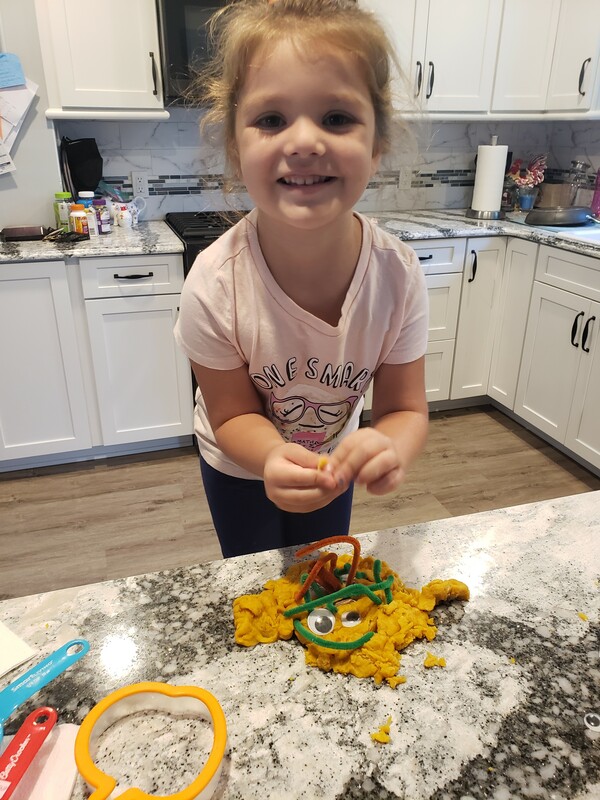 We hope you have fun making this play dough, too! 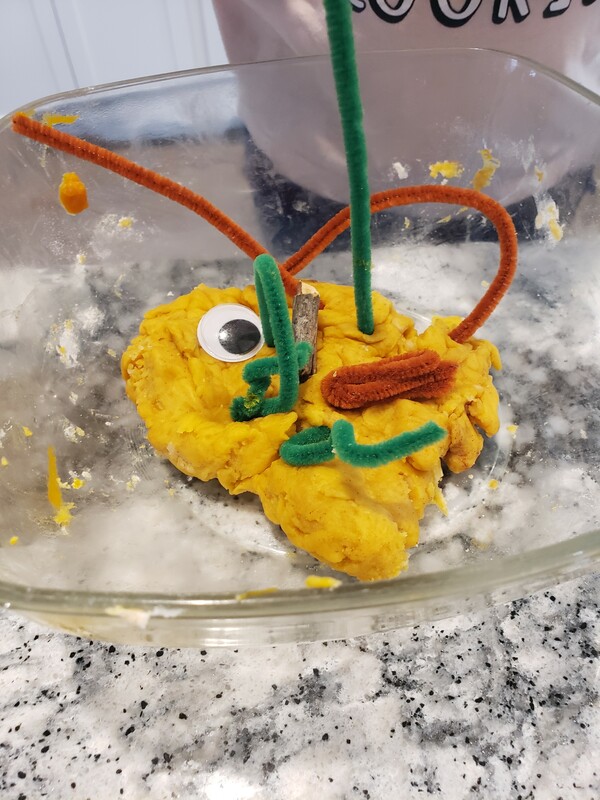 Like, I mentioned in the beginning of this post.The play dough does not store well in a Ziploc container wrapped in parchment paper. Just one day later it was not good anymore. It was very oily! But, the initial day of play was fantastic. We highly recommend doing this.